5th Grade - "Common Core Math Task Cards"
These tasks cards are a perfect way to review for the standardized tests in the spring. 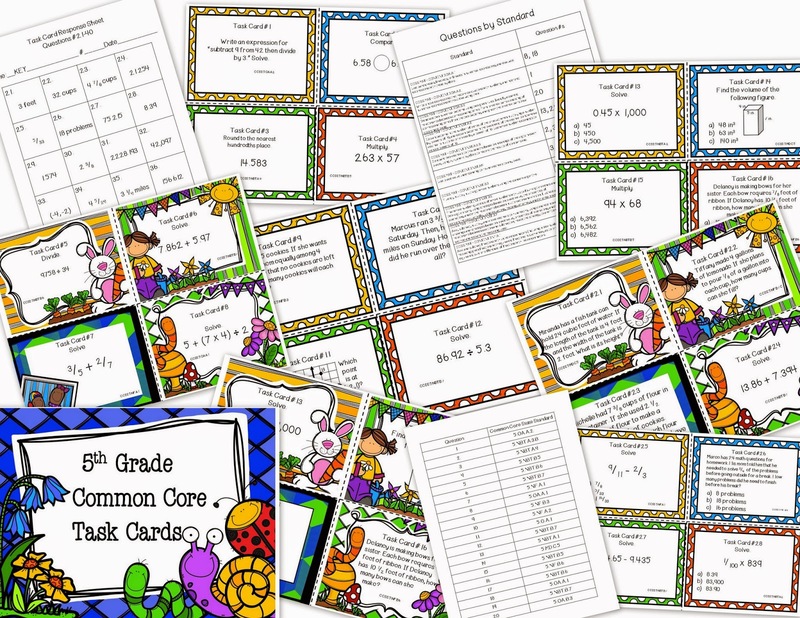 Each question comes directly from the math common core state standards with the standard noted at the bottom of each card. There are three different designs in order to differentiate for various students - open ended (in bright, bold spring design), open ended (in polka dot border so the card looks "cleaner"), multiple choice in polka dot border. You can mix and match the cards as you wish. Although these cards are specific to 5th grade standards for math, 4th grade teachers can use them as challenge questions, and 6th grade teachers can use these to review and solidify concepts taught in 5th grade.